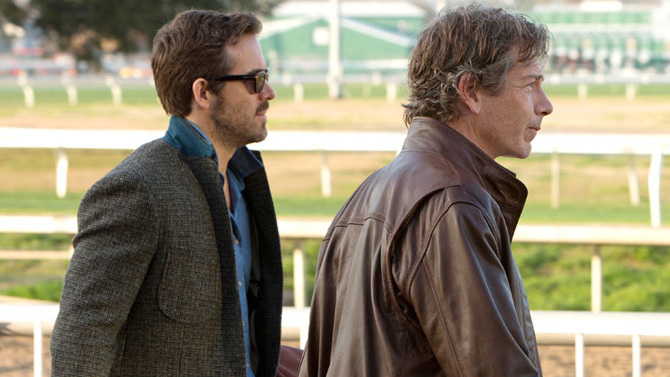 With an all-star cast, a tour of the South of the United States and a stellar soundtrack, comes the heart-breaking yet addictive tale of Gerry (Ben Mendelsohn), a gambler with serious financial problems and his desperate attempt to win it all back with a charismatic young poker player, Curtis (Ryan Reynolds) who he feels is his lucky charm. The film centres on this unexpected friendship and their journey down the Mississippi trying to win back what Gerry has lost. Both faced with personal troubles and sad pasts, their journey together is full of emotion, honesty, but also comedy, and is therefore a refreshing contrast to the last road-based film of note, DUE DATE, which failed to achieve the levels of comedy I think it aimed to accomplish. There is a perfect balance of drama and light-hearted comedy in this feature to keep you entertained throughout. It is a deep and slow-burning feature film, certainly to begin with, but the wit and charm of Reynolds keeps the story alive and Mendelsohn’s performance is one to be appreciated. There are also some credible performances from Sienna Miller and Analeigh Tipton to take note of, but the brilliance of this film is the insight it gives us into the South. Travelling down from St. Louis towards Memphis, this film is a cascade of American scenery and it truly showcases the brilliance of American music with a soundtrack featuring the likes of Jimmy Lee Harris, Tom T. Hall and Ferry Lewis. Along with the gambling audiobook Gerry listens to throughout the film, defining players’ ‘tells’, the soundtrack to this film defines the characters it is representing with songs about love, failure, greed and ambition. 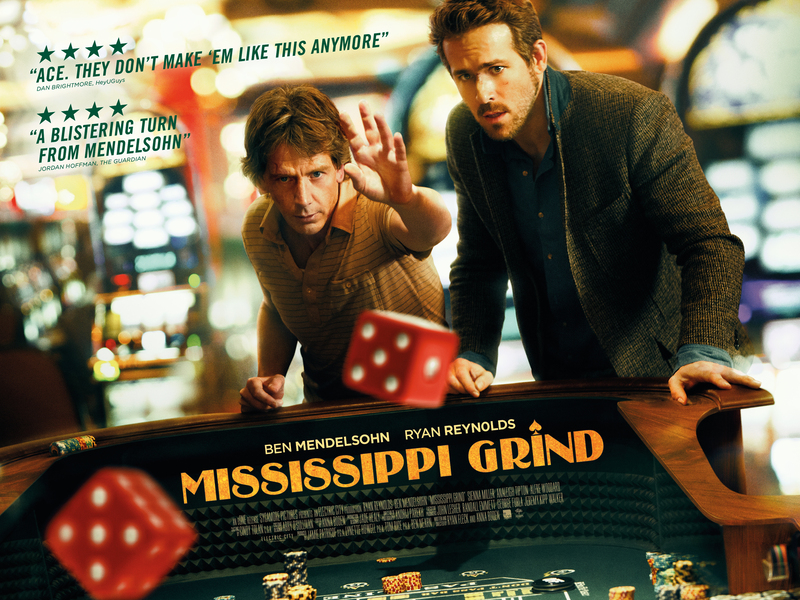 Overall, MISSISSIPPI GRIND is a tale of deep and emotional back-stories, overpowered by a rich and exciting new friendship, portrayed by two actors who put in brilliant dramatic performances, blended with a good level of light-hearted comedy. Recommendation: Worth the watch for the performances and also a great watch for a lover of America. I recommend catching it on a discounted ticket night at your local cinema. 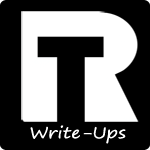 Originally written for Screen Relish (http://www.screenrelish.com/). Thanks to them for the opportunity to write this piece.